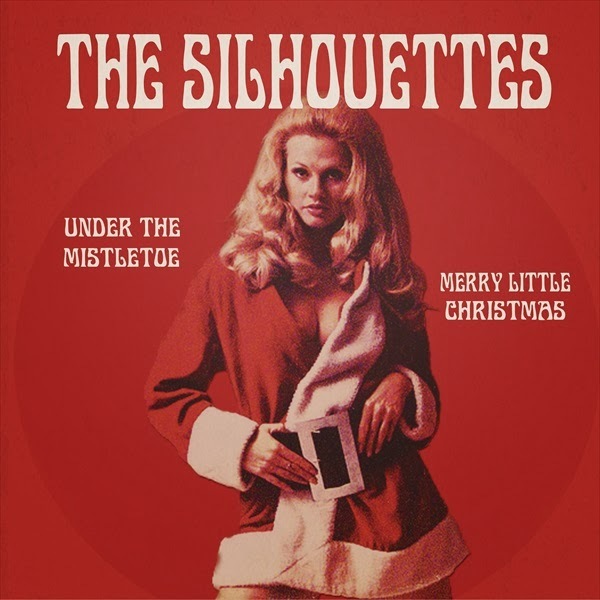 The Silhouettes's“Under The Mistletoe / Merry Little Christmas” is one of four 7"'s released as part of the 2013 (and first) edition of the Snowflakes Christmas Singles Club. The fourth single in the series has surf pop band The Silhouettes from Amsterdam with a Ben Rider-penned original 'Under The Mistletoe'. The song was recorded in the Cinetol Studio and Jacco Gardners studios, injecting the surf sound of the band with some psychedelica. The angelic voice of Marthe Jellema makes you melt like a snowman on a sunny day, while she sings of longing to sit under the mistletoe with her loved one on Christmas day. The Silhouettes back it with a surf version of the Christmas standard 'Have Yourself A Merry Little Christmas', written by Hugh Martin and Ralph Blane, first sung by the legendary Judy Garland in the classic 1944 musical 'Meet Me In St. Louis' and made legendary by Frank Sinatra. Ben Rider (guitar, originally from the UK) and Marthe Jellema (keyboard) met in 2005 at a Pixies show in The Netherlands, became friends and occasionally played music together. When sharing an apartment in London in 2010, the two started to write their own songs, that were a reaction to modern life in an over-populated city where modern day technology alienated people from each other. The Silhouettes showed an alternative, by writing songs that had a sense of naivety and playfulness. Ben and Marthe relocated to Amsterdam and The Silhouettes started playing shows all over Holland, including Crossing Border and Noorderslag. The band toured the US in 2012 and released their self-titled debut album, "The Silhouettes", in April 2013 on Dutch label Goomah Music. The album has a lo-fi vintage sound and is heavily influenced by the 60's garage sound as well as contemporary US west coast bands like Best Coast, Wavves and The Ravenoettes. On shows, Ben and Marthe are new joined by a bass player and drummer, further broadening the sound of the band. 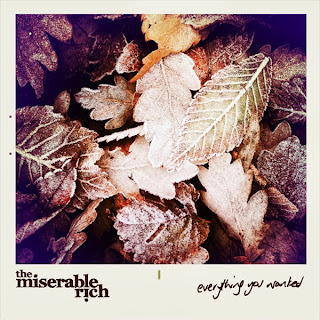 The Miserable Rich's “Everything You Wanted / Stop The Cavalry” is one of four 7" singles released as part of the 2013 (and first) edition of the Snowflakes Christmas Singles Club. The third single in the series sees Brighton chamber pop band The Miserable Rich bring us an uplifting original, 'Everything You Wanted', a happy song in which the string-based sound of the band is joined by a cheerful trumpet and swinging percussion. Singer James is out to buy a Christmas present for this lover - that perennial search for the perfect gift - he succeeds, and the song's climax finds him, present safely wrapped, relaxing with friends in the pub at the end of the day. A good way to spend Christmas Eve! On the flipside, The Miserable Rich turn the antiwar protest song 'Stop The Cavalry', written and made into one of the most loved Christmas songs from the early 1980s by Jona Lewie, into a melancholic chamber pop song. The Garlands' 'Christmas Song' / 'I Don't Intend To Spend Christmas Without You' is one of four 7"'s released as part of the 2013 (and first) edition of the Snowflakes Christmas Singles Club. 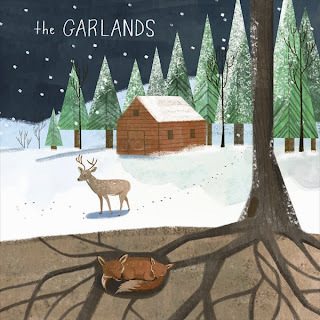 For the second single of the series, Stockholm, Sweden's indie poppers The Garlands have rearranged and rerecorded their 'Christmas Song', prevously released as a download only in 2008. This Chrismas love song has the sound of the swinging 60s with bells, piano, sweet harmonies and all. Their cover of 'I Don't Intend To Spend Christmas Without You', written in 1967 by Margo Guryan for French actrice, singer and dancer Claudine Longet, is a perfect match to their original song. It has the same hip 60s vibe but still with a indiepop bite. The Garlands were formed in 2007 in Stockholm, Sweden, by Roger Gunnarsson and Christin Wolderth as a bedroom recording project. In the first few years, Roger and Christin recorded several tracks as a duo, tracks that were released on CDEP or 7” on labels like Cloudberry Records, Cosy Recordings and Atomic Beat Records. In 2010, the project turned into a real band, when Christin was joined for live shows by Einar Ekström (guitar), Patrik Lindgren (guitar), Maria Grum (bass) and Robert Klaesson (drums). With this line-up, The Garlands recorded the brilliant single 'You Never Notice Me' for UK label Big Pink Cake. In 2012, the first full length of the band was released on US label Shelflife Records. The Garlands are clearly influenced by 80s twee pop bands like Talulah Gosh, The Rosehips, Heavenly, Go Sailor and The Shop Assistants: catchy indie pop songs with girly vocals backed up by jangly guitar hooks, head-bobbing rhythms and lovely vocal harmonies, all clocking below 3 minutes. On the two Christmas songs, the band is not only adding Christmas bells to their sound, but also piano and flute, giving it a real 60s vibe, and showing the band doesn't limit their inspiration to 1980s guitar pop, but as much finds this inspiration in the baroque and psychedelic pop of the 1960s. 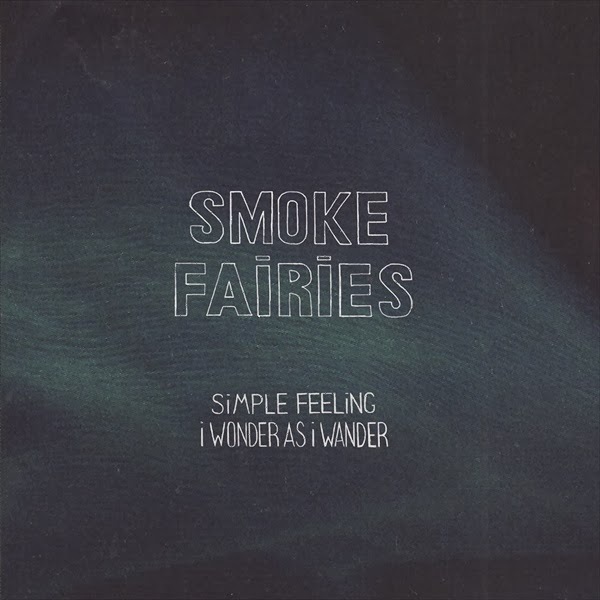 Smoke Fairies' “Simple Feeling / I Wonder As I Wander” is one of four 7"'s released as part of the 2013 (and first) edition of the Snowflakes Christmas Singles Club. The first single in the series sees London folk/blues duo Smoke Fairies, joined on viola by Neil Walsh, sing about how celebrating Christmas with friends and loved ones makes one feel at home in their 'Simple Feeling'. It is a refined song with the vocal harmonies of Katherine Blamire and Jessica Davies only supported by the subtle sounds of organ and viola. 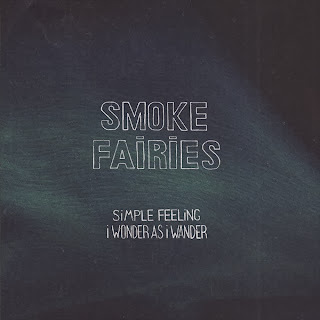 On the flip-side Smoke Fairies do a haunting and beautiful rendition of 'I Wonder As I Wander', a Christmas carol written by singer John Jacob Niles, based on some lines of a folk song he once heard a little girl sing in a small village in Appalachian North Carolina. Smoke Fairies was formed by school friends Katherine Blamire and Jessica Davies, originally from Chichester, East Sussex. After university, the two traveled to the USA where they lived in New Orleans for a year soaking up American blues music. When they returned to England, they discovered British folk music at the Sidmouth Folk Festival. But it was after spending another year abroad, this time in Vancouver, Canada, that they returned to London and started performing as the Smoke Fairies, combining the American blues and British folk traditions. Smoke Fairies supported Bryan Ferry on his UK tour in 2007, released some limited edition singles in 2008-2009 (one of note recorded and released by Jack White on his Third Man Records label), did further touring with Richard Hawley in the UK and supporting Laura Marling on her USA tour all before the release of their debut album. “Through Low Light And Trees” was released in September 2010 - 'an exquisitely shivery blend of alternative folk-rock and a more humid, bluesy brand of Americana, that sounds both eerily ancient and thrillingly modern, with beautifully interlocking harmonies and guitar parts behind the spectral melodies', to quote the website of the band. Both this album and critically acclaimed follow-up 'Blood Speaks', were released in the UK and in the USA. The last two years, Smoke Fairies have toured extensively in the US, UK and Europe, released a RSD exclusive EP and most recently the CD 'Ghosts' which compiles their early singles. In October, they toured several English churches with US cello-rock band Rasputina and, ahead of their third album proper to be released early in the new year, they now close off the year by releasing this Christmas single.